An analysis of Sony’s first party studios to try and figure out what unannounced exclusives could be coming to the PS4. Sony Worldwide Studios’ head Shuhei Yoshida – the man the most responsible for the direction of Sony’s overall first party development, and second party partnerships – recently confirmed that the fears many had after Sony’s rather flaccid showing at E3, regarding them not having much else in the wings for the PS4 beyond what has already been shown, are unfounded. The company definitely is working on more PS4 exclusives that have not yet been announced. So let’s try and consider what these exclusives might be. The first thing we’ll do is exclude PlayStation VR specific games here- for starters, Sony considers that its own platform, and secondly, I am sure that at a core and enthusiast targeted convention like E3, where people are tuning in for PS4 games, rather than the relatively more niche segment of the market that is VR, Yoshida wouldn’t be talking about those to begin with. So let’s focus specifically on games coming to the PS4- the good thing about Sony is that they have a very visible and transparent studio structure, and it is easy to predict which of their studio is due to launch something by examining said studios. So, first up, we have Naughty Dog, Sucker Punch, and Insomniac all due to release a game- which they all will be in the coming few months/years. Those games were the games showcased at E3 to begin with, so those can’t be what Yoshida is talking about. "Shuhei Yoshida recently confirmed that the fears many had after Sony’s rather flaccid showing at E3, regarding Sony not having much else in the wings for the PS4 beyond what has already been shown, are unfounded. 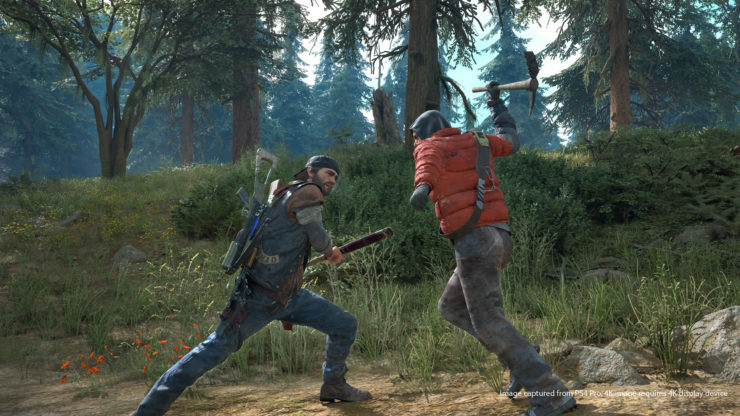 The company definitely is working on more PS4 exclusives that have not yet been announced." Next up: Sony Santa Monica. These folks just released the exemplary God of War. It was an amazing game, and it came after five gruelling years of development. The next God of War game is unlikely to take this long- the reason the PS4 God of War game took as long as it did has to do with the engine having to be overhauled, and the entire series reconceptualized, neither of which will be factors for the sequel. That said, a modern AAA game takes at the very least 3-4 years to be developed- which places Sony Santa Monica’s next title in 2021 or 2022. These dates are either at the fringe of, or beyond, the date that the PS5 is expected to have launched. It is unlikely that Sony Santa Monica’s next game, whatever it is (presumably a new God of War game), will be launching for the PS4 either. Guerrilla Games launched Horizon: Zero Dawn last year, and then an expansion for it on November 7. Assuming that any sizeable portion of the development team moved on to pre-production of their next game after Zero Dawn shipped which they likely did), and keeping in mind the traditional AAA development cycle, we are looking at Guerrilla’s next game being in either 2020 or 2021- Horizon took an inordinately long time to be developed, but again, a lot of that was because of the engine, which will no longer be a consideration. 2020 or 2021 would again seem to put a Horizon 2 (presumably, that’s Guerrilla’s next game) beyond the PS4- but this one is at least somewhat likely to be on the PS4, even if a PS5 launches in 2020-21. After all, as a reminder, Sony had no problems putting out God of War 2 on PS2 in March 2007 (well after the PS3 had launched), or The Last of Us on the PS3 (right on the eve of the PS4 launch). It’s still unlikely– most likely this game would be saved for the next Sony console- but it could happen. Quantic Dream isn’t a Sony studio, but they work with them exclusively at this point, so let’s talk about them now. They literally just put out Detroit: Become Human, and that was after a five year break since their last release. Quantic Dream managed two games on the PS3 (one right at the tail end of the console’s life cycle), but given the longer development cycles, I’m not very sure that they can make the PS4 with their next game. Mid 2021 is the earliest their next game can hit- which is unlikely, because even on the PS3, they were taking at least 4 years per game- which means their next game would be in mid-2022, which is well beyond even the furthest estimates for a PS5’s launch date. So, no, it is unlikely their next game hits the PS4 either. "There is Manchester Studio and London Studio- the former makes games exclusively for PSVR, while the latter makes Singstar and Buzz, titles aimed at a more casual audience." 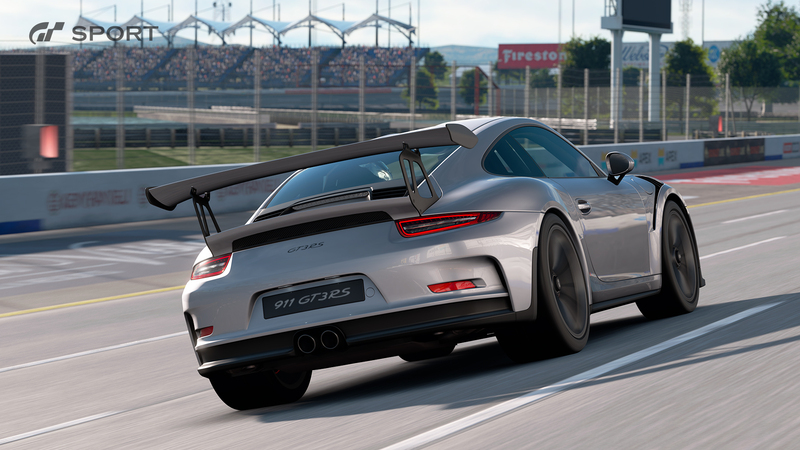 Polyphony Digital is a curious case- they launched Gran Turismo Sport last year, four years after their previous game, but they have also actively and substantially supported it ever since its release. It is likely that they have a live content team, and that they have started work on their next game- considering another four year development cycle, that game would probably be out in 2021. I can see that one being on PS4, even if the PS5 is right around the corner- as a reminder, Gran Turismo 6 hit the PS3 after the PS4 launch, and I see no reason why that can’t happen again. Polyphony Digital likes to have two Gran Turismo games per console, and I imagine their next game will be on the PS4 as a result. Then there are Sony Bend and Media Molecule- working on Days Gone and Dreams respectively. There is Sony San Diego, which works on an MLB The Show game on an annual basis. There is Manchester Studio and London Studio- the former makes games exclusively for PSVR, while the latter makes Singstar and Buzz, titles aimed at a more casual audience. I can certainly see new Singstar and Buzz games coming to the PS4, for what it’s worth. There is Japan Studio, but its output has vastly dwindled in the last few years- it takes years to put one game out, and mostly seems to act as support for external partners like From Software and GenDesign. This actually covers most of Sony’s notable first party studios- it’s very unclear what unannounced games Yoshida was referencing. Gran Turismo seems to be the only one likely to hit the PS4. New Singstar and Buzz games, maybe, but again, it is unlikely those were what Yoshida meant when speaking to enthusiast media at E3. But Sony does have some external partners that it works with frequently, so let’s have a look at those, too. "It’s very unclear what unannounced games Yoshida was referencing. Gran Turismo seems to be the only one likely to hit the PS4." Supermassive Games has been churning multiple games out dutifully for PlayStation platforms every year for the last few years- their focus is mostly PlayStation VR, but they did put out a PS4 game last year. Admittedly, it was a PlayLink title, but that does give us indication that a new PS4 game by then, albeit a smaller scale one, might be possible. From Software and Sony have teamed up twice, and each time we got a legendary game out of it- Demon’s Souls and Bloodborne. Their next teamup, however, is specifically for a PlayStation VR game, and it is unlikely From has multiple teams committed to PlayStation exclusive games at this point, especially given the larger success the company has managed to find. GenDesign is Fumito Ueda’s new studio, and we know he is working on a new game with Sony Japan. That said, Ueda is known for extremely long development cycles- Ico and The Last Guardian had infamously protracted development schedules, and even Shadow of the Colossus took relatively too long to come out- years for a PS2 game! Is there a chance that Ueda’s next game hits the PS4? I mean, technically, sure? But it is likelier that his new game, whatever it is, is going to be on the PS5, especially since even the PS4 seemed to struggle with realizing his artistic ambitions. Which brings us to BluePoint. 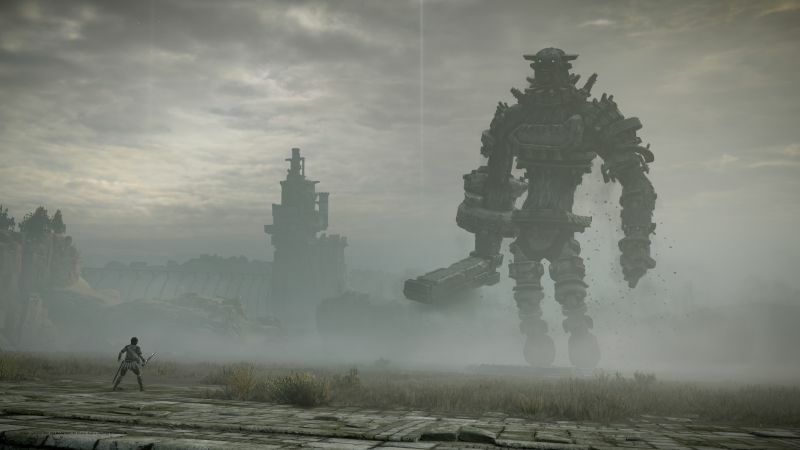 BluePoint recently released a full remake of Shadow of the Colossus with Sony, which was extremely critically acclaimed. They have already confirmed that they are working on their next project, and while they never explicitly confirmed it was with Sony, it is an easy assumption, given the studio’s history. It is actually likely that Bluepoint’s new game hits the PS4- especially if it is a remake. A new game might miss the PS4, but a remake has an existing framework to draw from, which should speed things along. It is certainly likely that this was one of the games that Yoshida was referring to, at any rate. "It is actually likely that Bluepoint’s new game hits the PS4- especially if it is a remake. A new game might miss the PS4, but a remake has an existing framework to draw from, which should speed things along." So, here we are- after an analysis of Sony’s first party studios, it’s not actually likely that there are many exciting unannounced PS4 exclusives left. Most of Sony’s studios are either working on PS4 games that we already know of, or games that are far enough out that they will probably hit the PS5. That said, there is still a Gran Turismo and Bluepoint Studios remake that we can presumably expect to be announced- not counting games for PlayLink or PSVR, or games like Singstar and Buzz– so on pure technicality, Yoshida wasn’t wrong when he said there are unannounced PS4 games left still. But even so, the already announced PS4 exclusives lineup is spectacular enough that we have enough to tide us over until the PS5 launches- Days Gone, Dreams, Death Stranding, Ghost of Tsushima, Spider-Man and The Last of Us Part 2 look like they collectively constitute Sony’s best output yet- and they are all yet to come. It’s not like PS4 fans will be starved for quality games or anything.